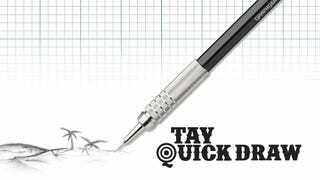 Time for this week's TAY Sunday Quick Draw! Remember, keep it fun and light, it's not a contest, just a creativity exercise. This week I'm decided to change the topic to something that isn't character focused (also something I'm substantially better at than drawing people). Hopefully we have a lot of great drawings posted. Draw a landscape scene of a locale from a video game. As always, try to tell a story through the entirety of the page, always trust your force, take chances, make mistakes! You have a single sheet of paper to draw a single scene. Give yourself 20 minutes of uninterrupted conception/drawing time. After the 20 minutes is done, put down your pencil/pen/stylus and upload your work in the comments. If you haven't been polishing you MK8 skills, why not head over to SunTAY Drivers and get a few laps in after you're done?! Remember, you don't want to be left in the dust in the Pixelympics!